9 soft cubes to find six types of objects. 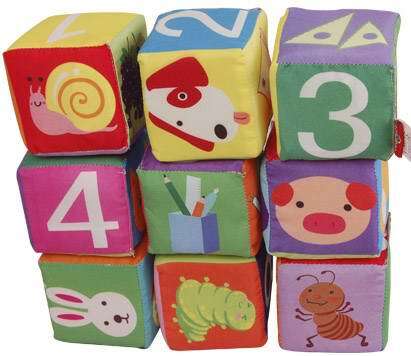 Brightly coloured cubes effectively stimulate a baby's brain cells. An excellent toy enables a child to observe better. 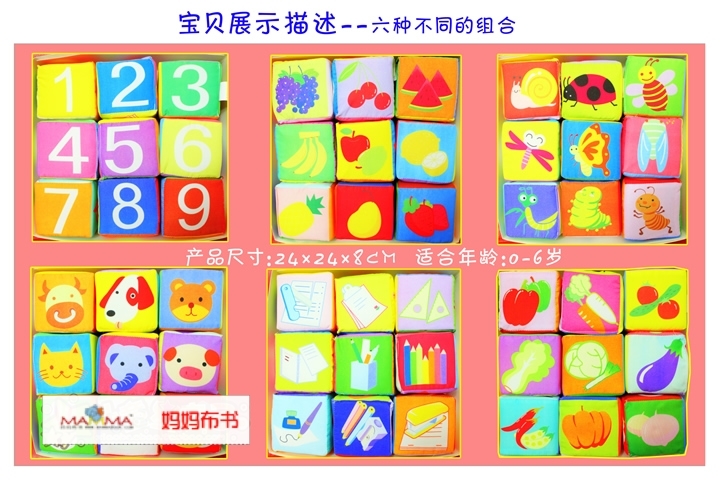 Also a toy to develop concentration and logical thinking. 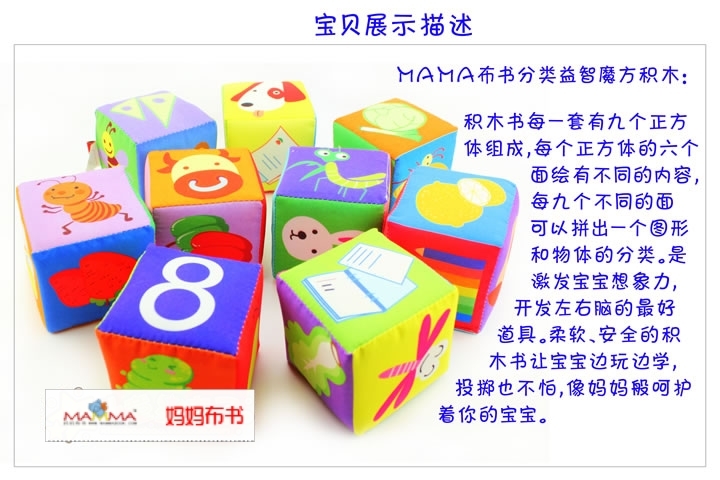 To add, the bell in each cube trains your baby to have sharp ears.